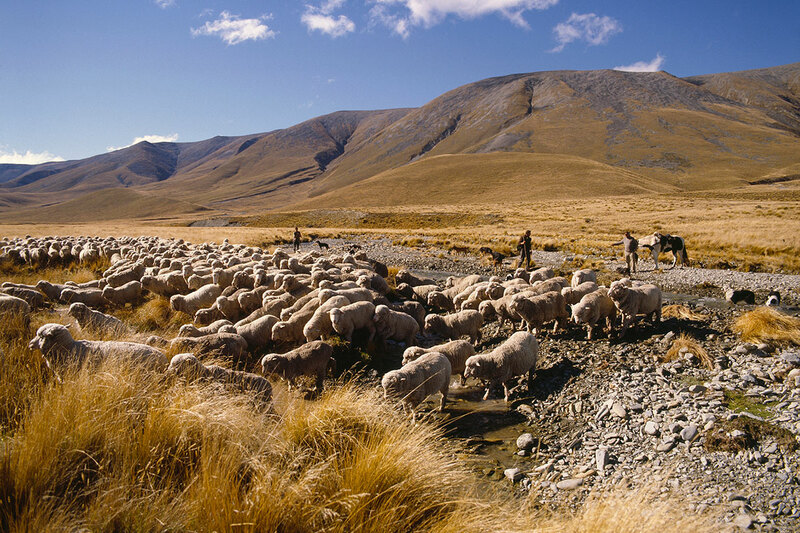 When you think of the New Zealand countryside you think of sheep. 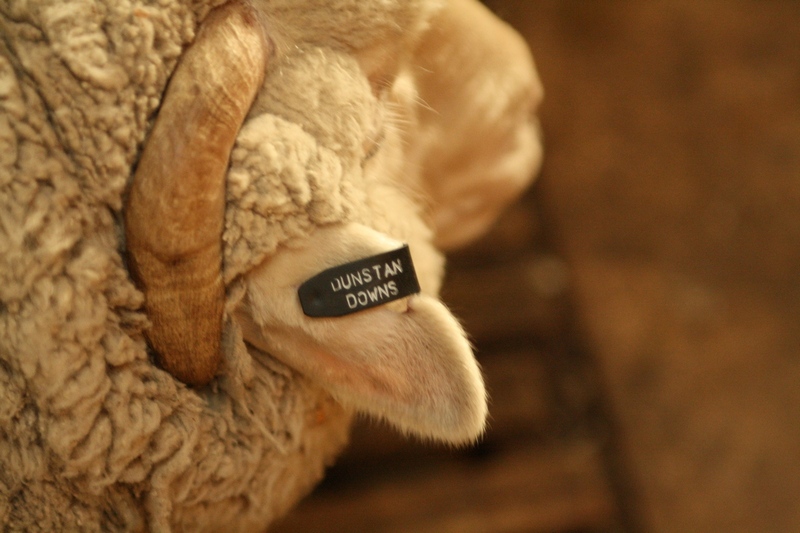 The Dunstan Downs sheep station is 30,000 acres, one of our key station activities is mustering sheep. Mustering is the process of herding sheep to places that you want them to go. This is an exhilarating, memorable and educational activity, which will give you a true feel of our high country lifestyle. The sheep are mustered for shearing, dipping, and drenching at various times of the year. Most sheep work is carried out between September - May. 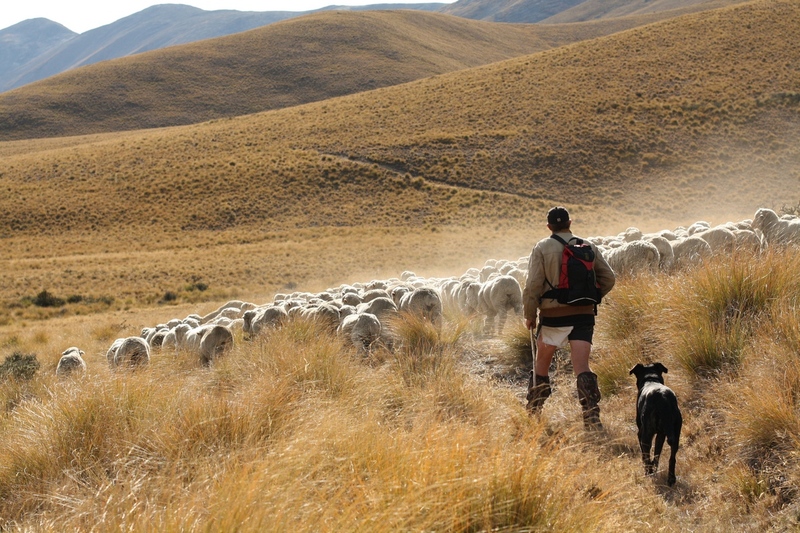 Mustering is done on foot by man and dog, guests are welcome to join us on foot or ride in the 4x4 vehicle. All mustering is done from the homestead, on a daily basis, except the Autumn muster where we camp out in Fat Man's Lodge for 2 nights. Guests are welcome to join us for this muster too. This muster is in Early april each year. When joining the muster, you will be staying overnight at Fat Manâ€™s Lodge with the musterers and experience a lifestyle reserved for only the luckiest.